KASNEB wishes to inform the candidates who sat the November 2016 Diploma Examinations that the examinations results have been released and can be accessed through SMS or the KASNEB website as detailed below. Candidates should send their KASNEB registration number on SMS to 20558. Example: ATD/87061 where ATD/87061 is the registration number of the candidate. The SMS service is charged a premium rate of Sh.10 per sms. (i) On the website, click on the student login link then choose the student icon or proceed to click the student icon if you use the direct link to the student portal. (ii) Click on create account and select whether you have Student Registration Number or not then proceed to provide names, preferred email address and a strong password (which will be used for future access to self information) and click save. (iii) Provide the email address and password used when creating the account and click unlock to login in. (iv) Select the “Registration Details” tab. (v) Access the “Course Choice” tab. (vi) Select the examination from the dropdown box, click on the “Yes” checkbox then provide the registration number without the prefix (e.g. if your registration number is ATD/87061, provide 87061 as the registration number) and click save. 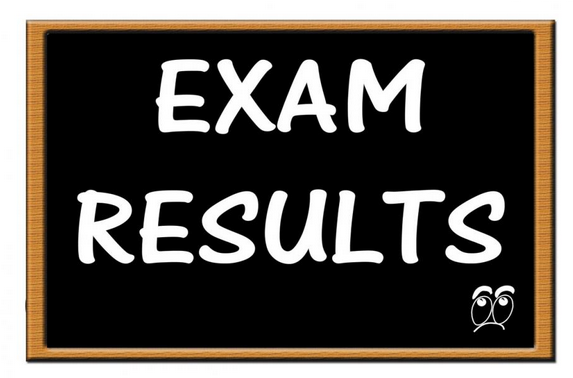 (vii) Select the “Examination Results” tab. (viii) Click on “print” to print the pdf version or “Send to email” to send to your email address. Candidates who already have an account should proceed from step (iii) above. Candidates are advised that result notifications will be sent to all candidates by post using the contact address provided by candidates. You are advised to promptly inform KASNEB in writing in case of change in your address. Candidates who sat the November 2016 examinations should enter the May 2017 examinations by paying the annual registration renewal fees, examination entry fees, exemption fees (where applicable) and other related charges as appropriate by Wednesday, 15 February 2017. (a) Copies of result notifications ARE NOT required when paying fees for the examinations. The candidates should therefore enter the May 2017 examinations immediately upon confirmation of the results through sms or website. (b) Candidates SHOULD AVOID rushing to pay fees on the deadline/closing dates. Any appeals for review of marking should be submitted on the official form (available for download on the KASNEB website) so as to reach KASNEB on or before Monday, 23 January 2017. The form should be submitted together with evidence of payment of the appropriate fee such as official receipt or bank deposit slip. Candidates are advised that appeals received after the above deadline will not be considered and any appeal fees paid will be returned to the candidate. (i) Download from the KASNEB website (www.kasneb.or.ke). (ii) Training institutions offering KASNEB courses. (iii) Kenya National Library Service branches countywide. (iv) KASNEB Headquarters, Upper Hill, Nairobi.